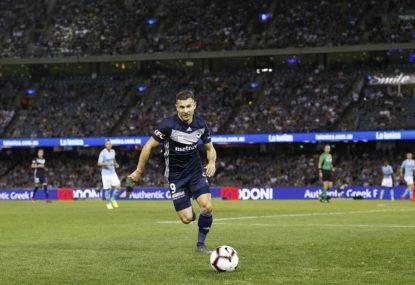 Last season Melbourne Victory finished fourth and won the grand final after defeating the Newcastle Jets 1-0 after an incorrect offside decision. 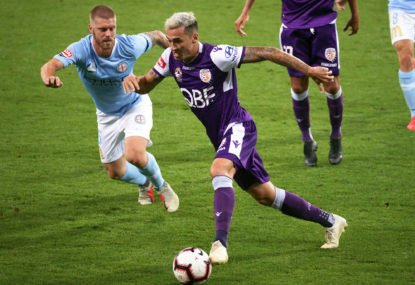 They did well at attacking with a unit of Leroy George, Besart Berisha, James Troisi and Kosta Barbarouses, but they could have improved at the beginning of the season, losing their first two games before drawing their next four. In the off-season the Victory have lost ten players: defenders Stefan Nigro, James Donachie and Rhys Williams, and midfielders Matias Sanchez and Cameron McGlip. Also lost are star attackers Leroy George, who was the top assister last season; Besart Berisha, the A-League’s all-time highest goalscorer; and squad players Mitch Austin, Christian Theoharous and Pierce Waring. They have replaced these players by signing defenders Storm Roux from the Central Coast Mariners, Corey Brown from Brisbane Roar, Nick Ansell from Portugese side Tondela, and Georg Niedermeier from Bundesliga team SC Freiburg. former Swedish international, signed to Melbourne on a two-year deal from French Ligue 1 side Toulouse. Finished 4th; 43 goals scored, 37 goals conceded. Champions, defeated the Newcastle Jets 1-0. Round of 16 in 2017, Round of 16 in 2018. 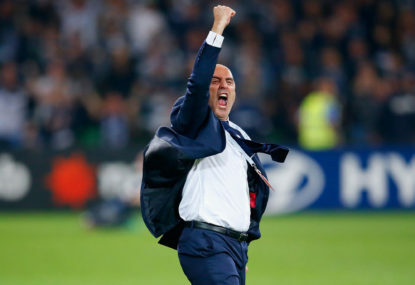 There are more midfielders in the squad than Melbourne Victory could possibly need with, Carl Valeri, Terry Antonis, Keisuke Honda, Leigh Broxham, Josh Hope, Raul Baena and James Troisi all able to play in coach Kevin Muscat’s central midfield three. In addition to this, new signings Ola Toivonen and Keisuke Honda were both capped internationally for the FIFA World Cup 2018 in Russia, where both scored. It was the third consecutive World Cup in which Honda was a goalscorer. 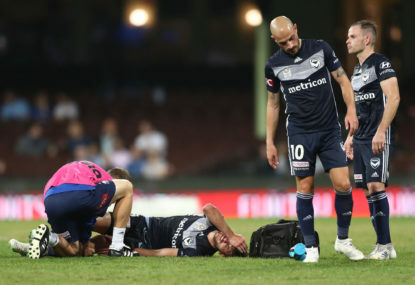 However, out wide, losing promising youngster Christian Theoharous, top assister Leroy George and Mitch Austin, who was injured for most of last season, are three notable departures, and Kevin Muscat hasn’t signed any wingers. 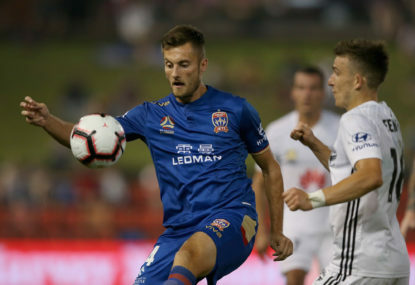 Jai Ingham and Kosta Barborouses are the only wingers in the squad, excluding James Troisi, who played as a No.10 in recent years at the club. He or Honda is likely to be shifted to the left wing. Melbourne Victory has the finest midfield in the competition. The signing of Ola Toivonen is ideal for replacing Besart Berisha, but losing numerous wingers in the squad, especially Leroy George, are difficult to replace, and Kevin Muscat hasn’t signed any wingers in the transfer window. Matthew Acton (1), Lawrence Thomas (20), Matthew Sutton (30), Majak Mawith (40). Storm Roux (2), Corey Brown (3), Georg Niedermeier (5), Leigh Broxham (6), Thomas Deng (14), Nick Ansell (22). Terry Antonis (8), Raul Baena (15), Carl Valeri (21), Birkan Kirdar (25), Thiel Iradukunda (32). Keisuke Honda (4), Kosta Barbarouses (9), James Troisi (10), Josh Hope (16), Jai Ingham (23). Kenny Athiu (7), Ola Toivonen (11), Nicholas Sette (26). Corey Brown (3), Keisuke Honda (4), Georg Niedermeier (5), Leigh Broxham (6), Terry Antonis (8), Kosta Barborouses (9), James Troisi (10), Ola Toivonen (11), Thomas Deng (14), Lawrence Thomas (20), Carl Valeri (21). Signing two players who both scored in the 2018 World Cup ensures that this Victory side looks sharp and means business.